Facebook has released an update for its iOS app that now makes it easier for users to find verified individuals. iPhone and iPad users can now look at popular user profiles and find out if they’re legitimately who they say they are. Social media has certainly led to the proliferation of impersonators and parody accounts, making online celebrity accounts sometimes difficult to believe. Within the Facebook for iOS app, when you view user search results, verified users will have a blue checkmark next to their name. This is the exact same result people receive on the Web. 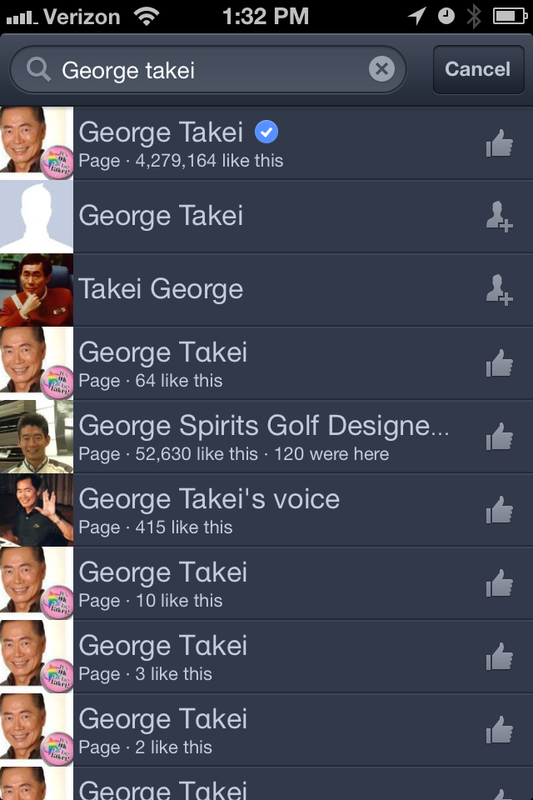 To illustrate this, we ran a search on the iOS app for Star Trek‘s George Takei and the results are shown to the right. That fabled blue checkmark will also appear on a verified user’s profile when viewed in the iOS app. It applies to celebrities, public figures, and brands. With 1.11 billion monthly active users, finding ways to separate real people from from fan clubs, impersonators, those with similar names, and other variations is important. Verified accounts is a new feature for Facebook, however; the company launched its verified pages and profiles initiative in May. Other updates to the app include improved places editing to allow property owners to update their categories, phone numbers, and other information on the iPad. 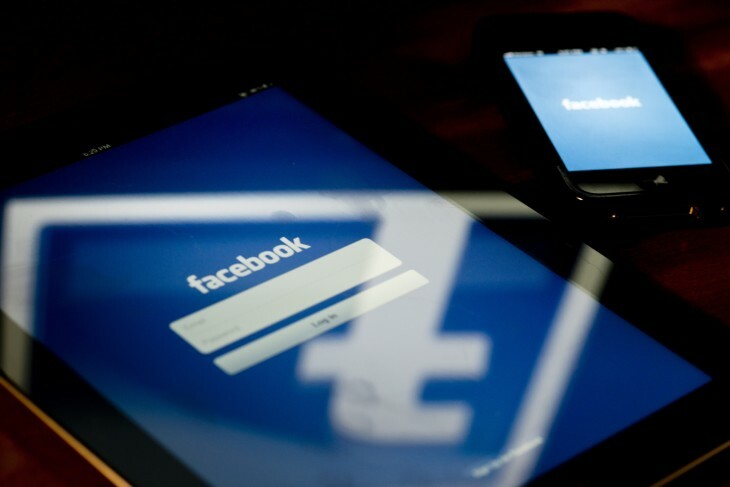 A problem causing the News Feed to load slowly for some people has also been resolved, according to Facebook.